Leading Manufacturer of aluminium clips, insulation anchor pin and vapour stop laminate from Dadra. 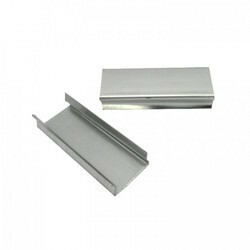 Being a customer focused organization, we are engaged in offering a qualitative range of Aluminium Clip. Insulation Anchor Pin manufactured by Swabs Tapes are made with made with SS 304 and it is used in Tank insulation insulation. Vapour Stop Laminate is a vapor barrier foil laminate made up of aluminum foil and polyester film. It is a three ply laminate of aluminium foil and polyester film, bonded using permanent synthetic adhesive. Vapour Stop Laminate is used as a facing over insulation board, segments, pipe sections, cables, etc. primarily used in cold/cryogenic insulation systems to prevent ingress of moisture into the insulation. Polyester film (12 mic) / Al. 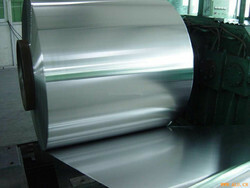 Foil (25 mic) / Polyester film (12 mic).